Brno, Česka. Behind you can see another two KT8D5 on line 4 and not in service respectively. 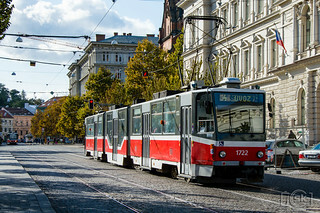 The right one is painted in special white livery celebrating 150 years of public transport in Brno next year.